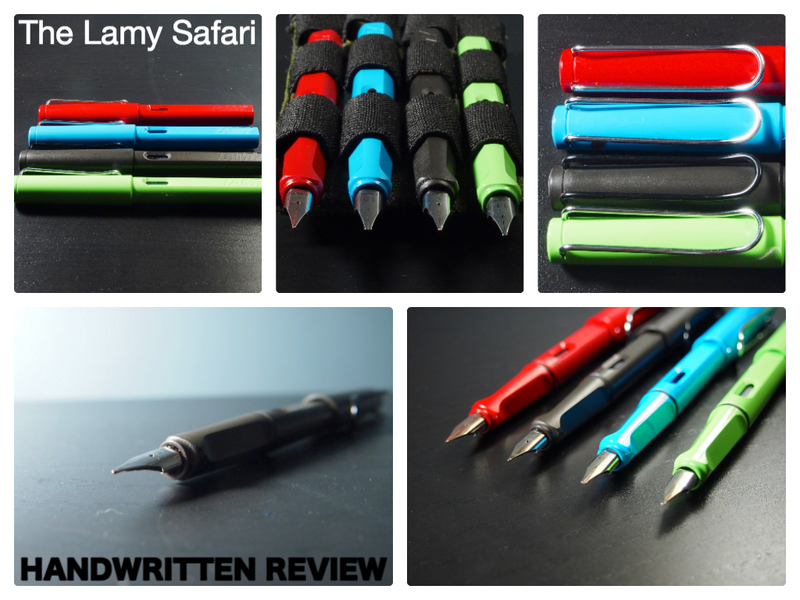 I know, there are tons upon tons of reviews out there of the Lamy Safari. However, I don’t think I’m wasting my time by adding one more. 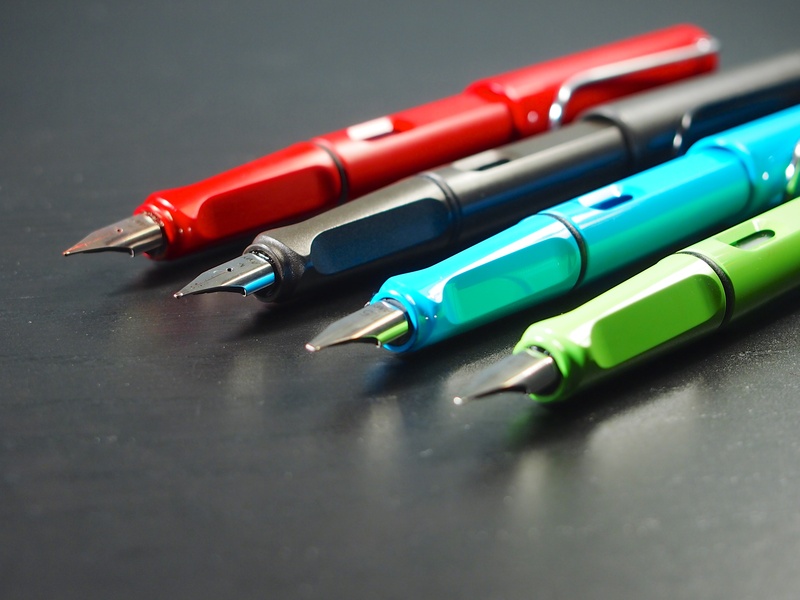 The Safari is not only a great beginner fountain pen, but a great addition to any collection. At any given time I usually have three inked up. 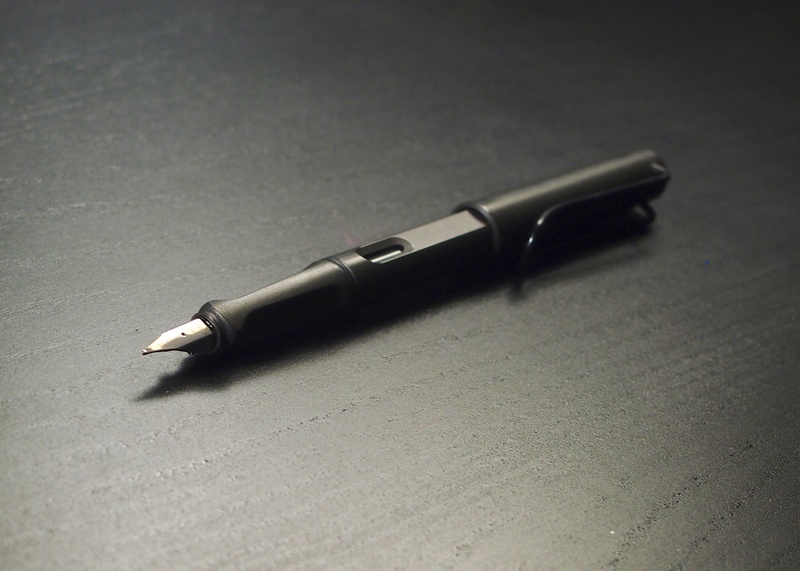 The fact that the nibs are easily swappable makes this pen super versatile. Taking into consideration the durability, versatility and overall fun level, the Safari is a great pen that deserves a place in everyone’s collection. There are legions of loyal fans with huge collections of the Safari and I can understand why.  If you would like to support edjelley.com, you can do so by purchasing the Lamy Safari through this Amazon Affiliate link! I went about this review a little differently. Since I usually have a few of them inked up, I decided to use a few different nib / ink combinations for the review. It’s not uncommon practice for me to switch out nibs in the middle of the day because it’s just that easy. If you’re careful about it, it can be done with little to no mess and the only thing needed is a paper towel to quickly clean off the nib. Also, I assigned numerical score values to each section of the review. I wrote this review out a while ago and have since decided to discontinue the numerical scores. I think that being more specific with my writing can be just as helpful as a number. 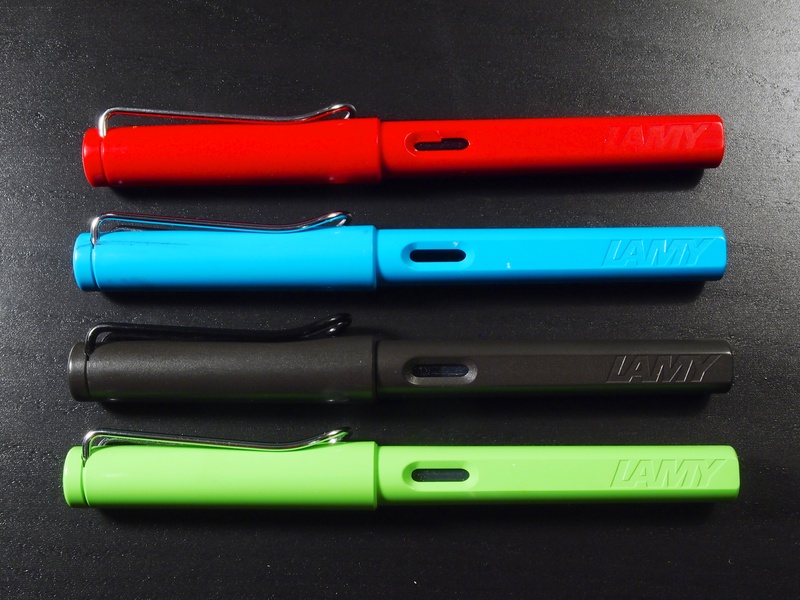 The Lamy Safari is strongly recommended as both a beginner and every day pen. The price point, swappable nibs, and build quality make this purchase a no-brainer. I use the Safari on a daily basis and I highly recommend adding one, or two, or ten to your collection. They’re a great pen for trying out new inks too. 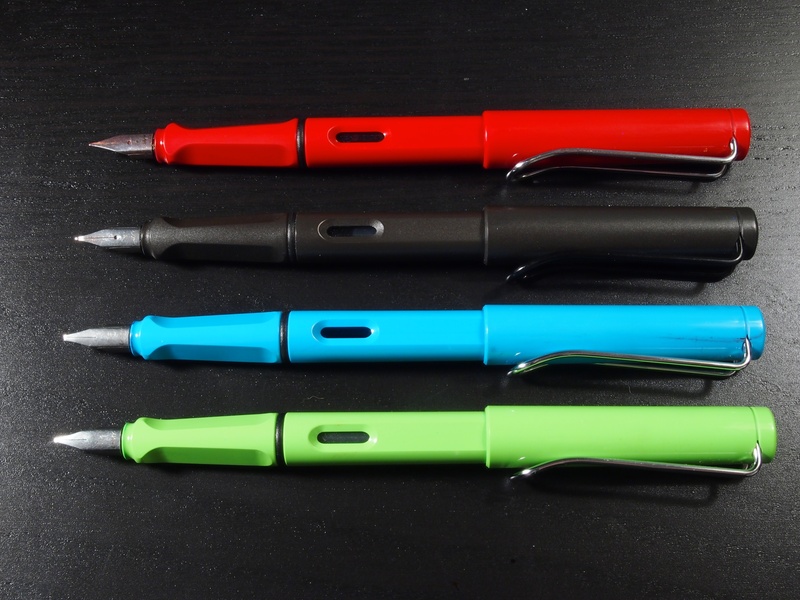 They can be used with Lamy’s proprietary T10 cartridges or with their Z24 converter, making life easier. Onto the reivew…I wrote this review on the Maruman Mnemosyne B6 notebook that I use for all my in class notes. This review is also pretty picture heavy, so I apologize in advance. Or you’re welcome in advance. Either way. LIne up. For some reason the red one doesn’t like to line up. Usually the fit on these are dead on. Maybe I over tightened it at one point and damaged the threads? Uncapped. Personally, I like to write with the Safari posted. It’s still comfortable to write with it uncapped, the body is a good length, not too long, not too short. Since the pen is on the lighter side, the balance isn’t thrown off by posting the cap. The Safari’s clip is a tank. It’s really secured well to the cap and has a great grip. I usually keep one in my front pocket of my jeans, and the clip does a great job of holding on, even with thick denim. Of course it works well on paper or a notebook cover too. Nib shot. The interchangeability of the nibs makes the Safari a versatile every day pen. It takes only a few seconds to switch them, and at ~$10 a piece, there’s no reason not to have all of them in your collection. My first fountain pen. The one that started it all. I feel like this one needed it’s own picture. For the sake of readability and not to overstuff everyone’s RSS feeds with pictures, there are a bunch more pictures in the gallery below. Feel free to sound off in the comments on your love/hate for the Lamy Safari. Merry Christmas. What pen-related stuff did you give/get? A charcoal Safari was my first pen as well. It has a very special place in my heart. I’ve explored others, but the Safari is still my favorite. I’m waiting for an aquamarine, an apple green, and a pink one in the mail. I always keep a bunch inked up. They’re always going to be a part of my collection. It was the Limited Edition color for 2011. I would try checking eBay, most retailers do not have any stock left. It’s a shame, because it’s such a nice color. Wow, what a typo that was…thanks for pointing it out. Corrected it! I’m ashamed that I inadvertently bad mouthed the Safari. 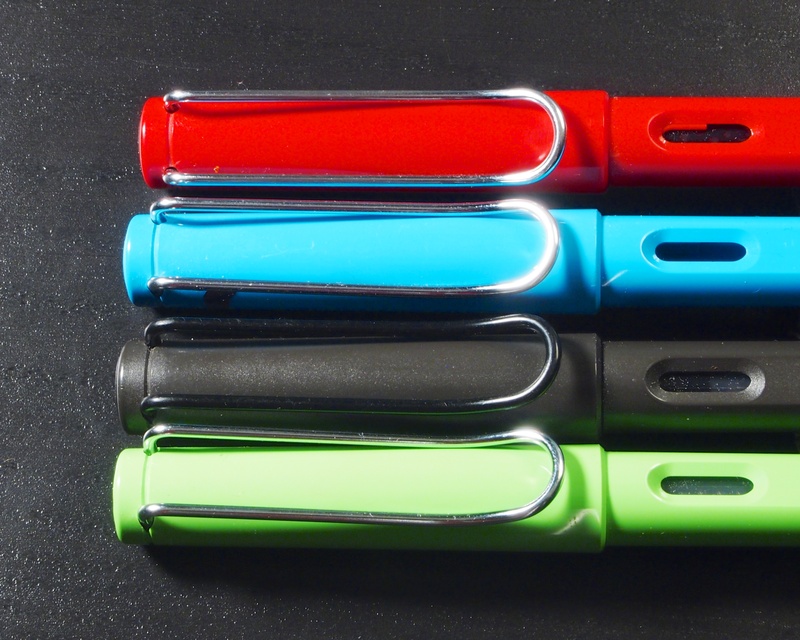 I think the funky colours of the pen really fit the distinctive cap design. Plus the wayyy cool black box packing. Keep searching for the Green Apple…found one in Nashville on OCT 8, 2014…love it! It was my first fountain pen too, the mate one. In those days back in my school time it wrote rather dry, whereas the same the same type of model which I hold in my hands today is pretty wet. Lamy Safari was my first fp. I now have many. I write with one every day. Your review is excellent.